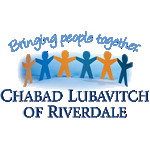 We print 4,000 calendars which are distributed to Jewish families and businesses in Riverdale. It has been seen displayed in homes and offices throughout the community, thus ensuring optimum year-long visibility for your services. The calendar also enjoys broader exposure as it is is used by our preschool families. * All birthdays, anniversaries and yahrtzeits will be displayed in the calendar box on the date which they occur. Please attach ad in space below.